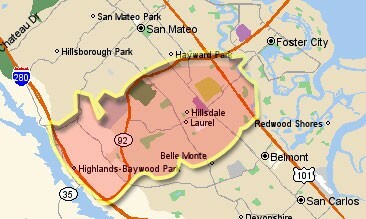 San Mateo National Little League boundaries include San Mateo residents south of highway 92 (except parts of the Laurie Meadows neighborhood). Also included is the area known as the Highlands, which extends North of highway 92 to Crystal Springs Road to the Hillsbourgh border. In addition, all of the upper part of Parrott Drive, Tournament Drive and south including streets located in San Mateo. The border also covers the extreme North end of the College of San Mateo. Plug your address or child's school address into the Little League finder to determine if you are within SMNLL's boundaries. Note: If your child attends school within the SMNLL boundaries and you want to play in the league, then you can file a school exemption form. See documents for the school excemption form.